Completed the shawlette I first shared with you in the October 5 post. It’s gorgeous, and it’s gonna be another one tough to part with when the time comes to sell. I dyed a few silk hankies awhile back. Last night I decided to try spinning them with a drop spindle. 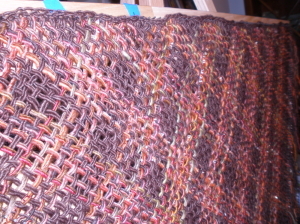 I’ve never been successful using a drop spindle with wool, so I was kind of skeptical about using a spindle at all. Hooray – I can spin silk hankies on one!! 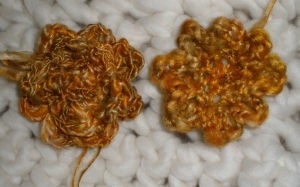 Then I crocheted a few flowers with the resulting yarn. 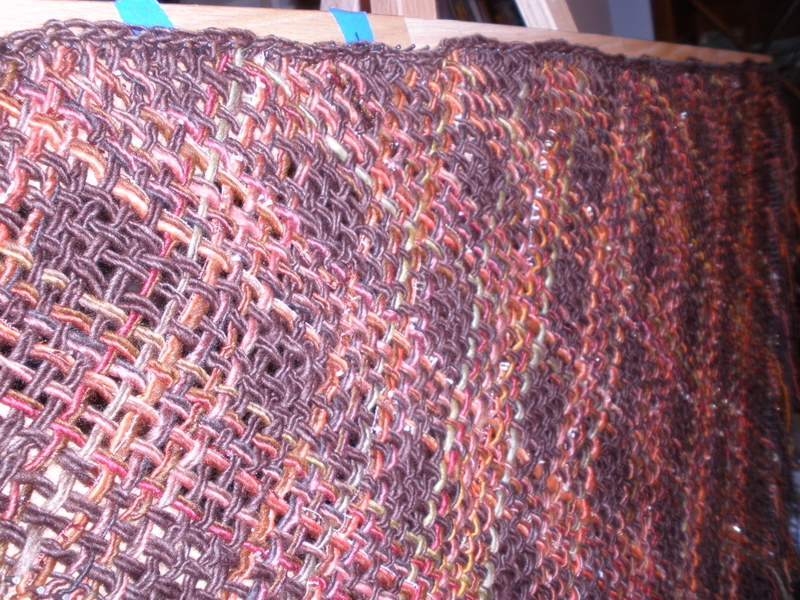 Trying to think of a way to embellish a shawlette with them. 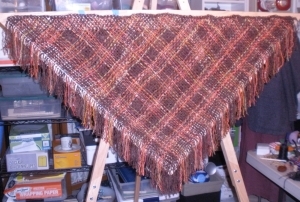 This entry was posted in hand dyed, spinning, tri-loom weaving.